Our trip to Siem Reap, Cambodia wouldn’t have been as much fun if not for Happy Guesthouse, its owner Chhorpoan and our tuk-tuk driver, Nga. We really weren’t able to stay at their place, having previously booked at the Angkor Tropical Resort, but our tour and most of our meals were from this lodging. 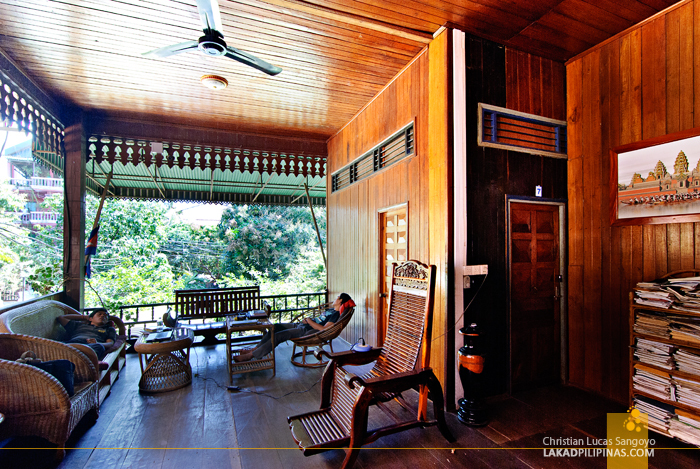 Happy Guesthouse is located at the backpacking district of Wat Bo Village in Siem Reap. 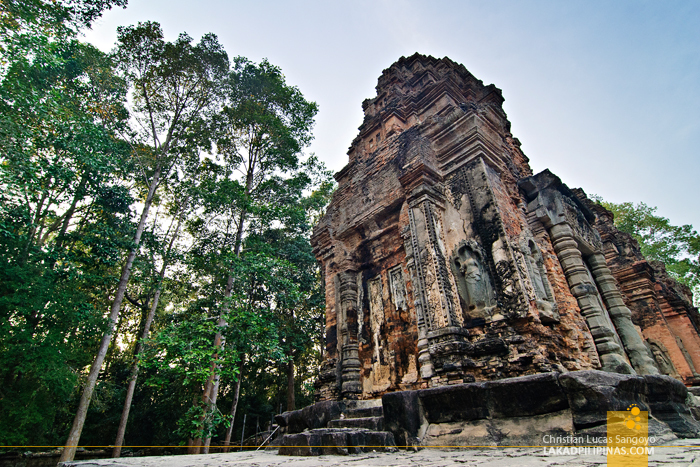 It’s on a little, unpaved side street right before the stately Siem Reap River and is walking distance away from the flamboyant Pub Street and the old night market. It’s a family run business, and we felt that right away as we entered its gates. The lodging was recommended by a friend who has stayed at this place before. She said that the manager is really pretty and asked us if we could bring some gifts for her. And so we went, and indeed, Chhorpoan is really cute! 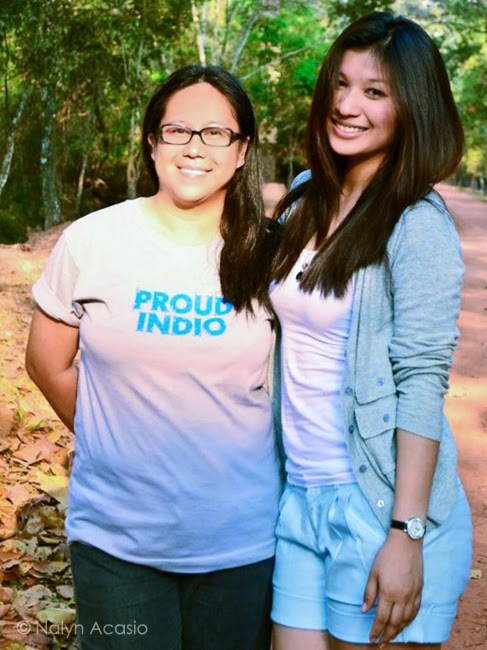 But not only that, she’s so bubbly and fun to be with that we instantly felt at home at her guesthouse. From the outside, it looked like a typical backpacker hostel. Lots of Europeans lounging around the open-aired café, a computer station at the lobby, sandals and shoes parked just outside the door. But it’s more of a lodge, really, than a hostel since they have no dorm rooms. Not to worry though, their rates are probably as low as a hostel (check availability). 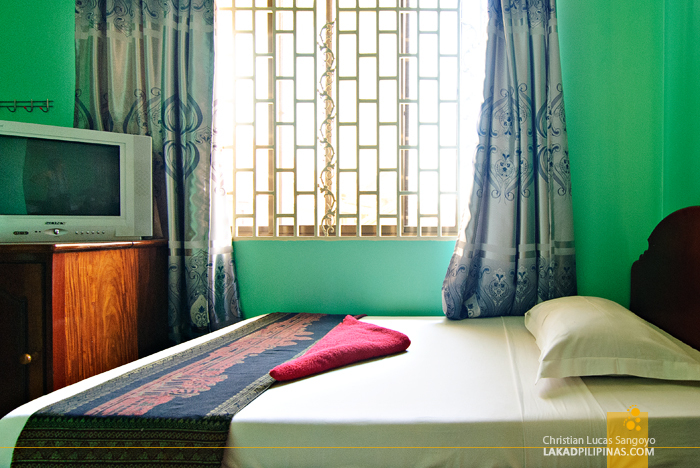 Their most affordable room is at only 8.00 USD a night, that’s almost just Php350.00, can you imagine that? And you have your own fan room with an en suite toilet and bath at that. Not bad. 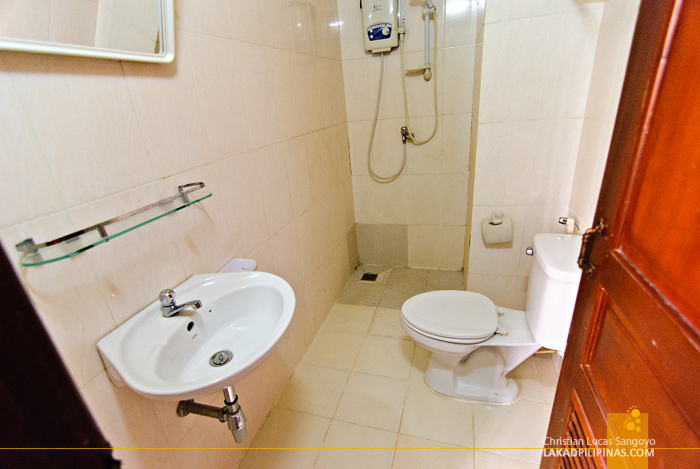 Each rooms, both air-conditioned and fan rooms, have a cable television, lockers and most importantly, free and strong wi-fi Internet access. Happy Guesthouse also offers bike rentals, laundry services, hairdryer rental, luggage storage, currency exchange, bus ticketing, transfer arrangements and tours. 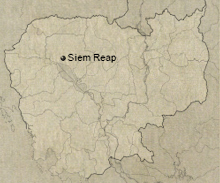 And since we were not able to stay at Happy Guesthouse, we did the next best thing; we booked all our Siem Reap tours with them. They have a variety of temple tours available and Chhorpoan was kind enough to arrange one that suited our schedule. 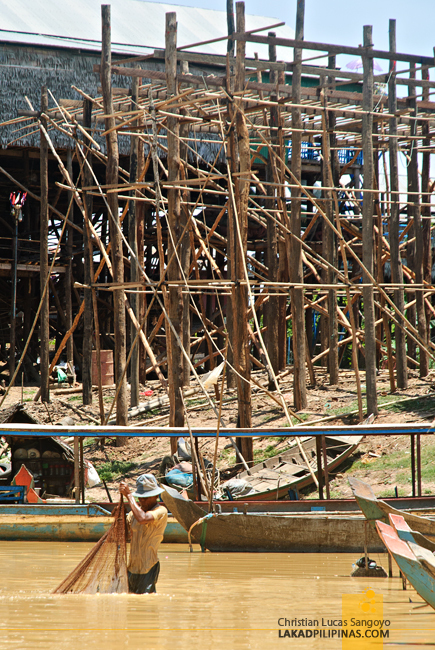 With only three full days to explore Siem Reap, our tours went like this; the Kompong Phluk Floating Village / Flooded Forest and the Roluos Temple Group on day one, the Big Circuit temple tour on the second day, and the Angkor and Little Circuit temple tour on our final day. 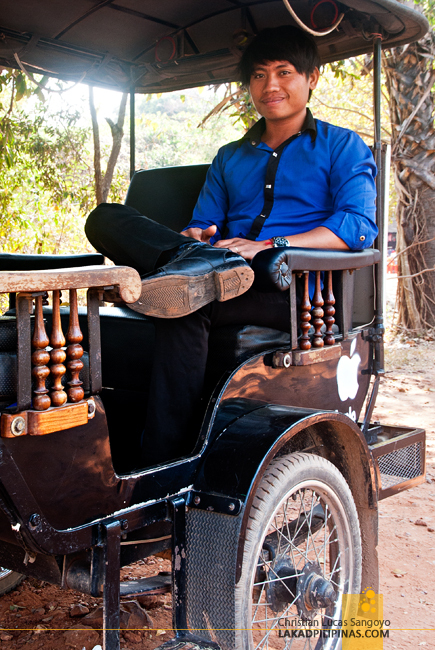 Everything, including the tuk-tuk we rode in, was set at 40.00 USD. That’s a bargain, if you ask me. That doesn’t include the three-day, 40.00 USD Temple Pass, although they did assist us in acquiring one just before we set off for the temples. Chhorpoan assigned Nga to be our tuk-tuk driver. While his English is very, very, very basic, we did get to understand each other through gestures and uhmmm… I really don’t know how we did it, but we did manage to communicate with him for three days, haha. Anyways, he’s a really nice guy; always allowing us to do what we want to do, go where we want to go (like instead of visiting Angkor Wat first, we asked him to turn around even if we were at its gate already so we can visit it last) and most importantly, he is super friendly, always smiling in his best long-sleeved outfit (which I notice most Cambodian guys wear). 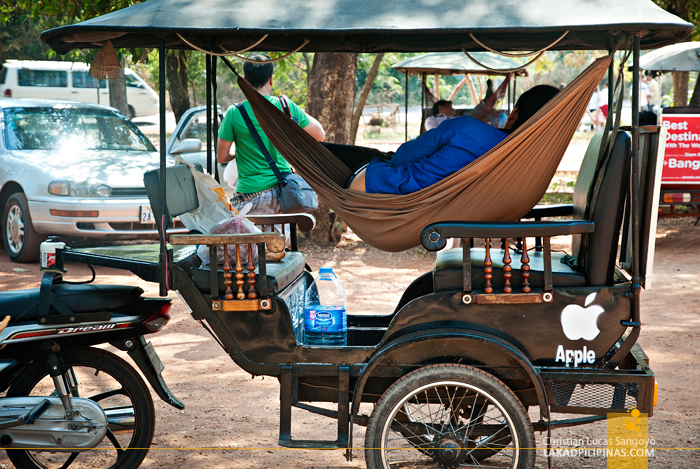 After each temple tours, we’d usually find Nga (pronounced as nge, like a crying baby, as Chhorpoan would playfully say, haha) comfortably curled in his hammock set inside his tuk-tuk, reading an English dictionary. He’d then scratch his head, shyly smile and we’d get on with our next temple. 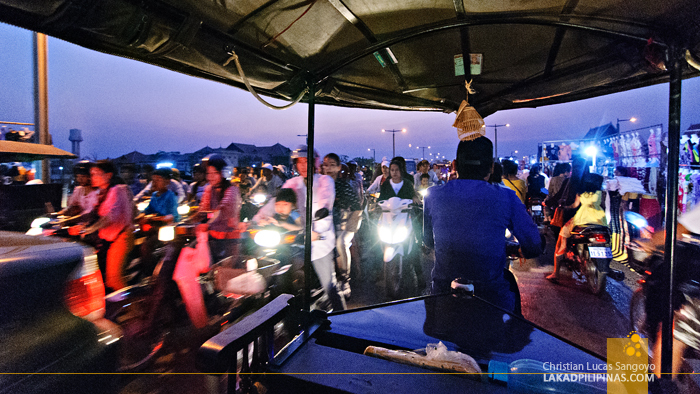 We liked Nga so much that even though we have a bit of a language barrier, we again asked him to be our tuk-tuk driver the second time we visited Siem Reap. Besides the pretty Chhorpoan and Nga, the other thing that I really miss about Happy Guesthouse is their food; our dinner, usually set at their in-house restaurant. We’d have our breakfast here too if not for the cute lady selling bai sach chrouk at Leu Market, haha. 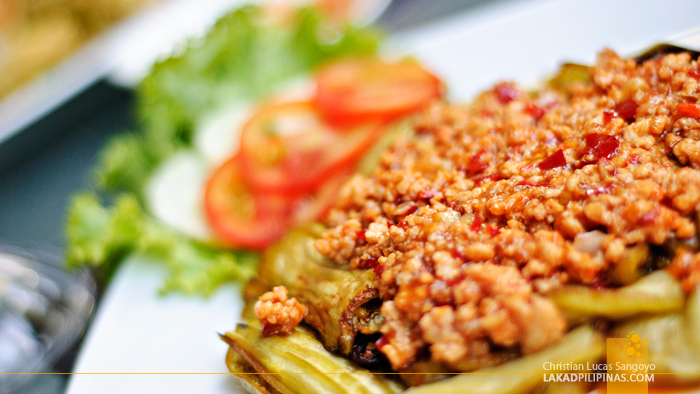 Their dishes are quite affordable, averaging at 2.00 USD per meal and they both have Khmer and the usual western grub. 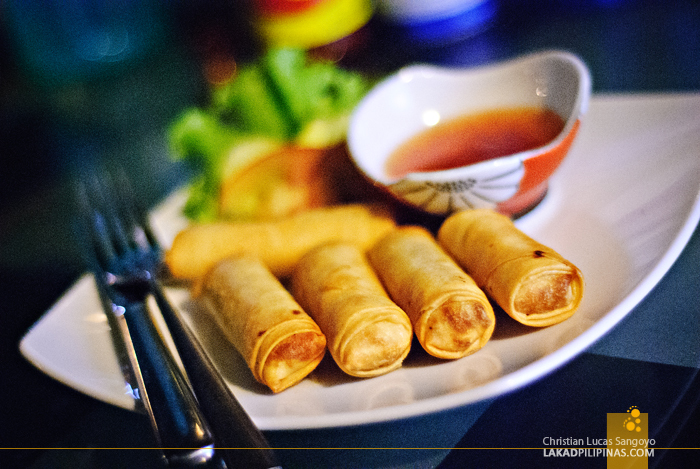 But who really wants to eat western dishes when in Siem Reap? It’s always Khmer food for us. 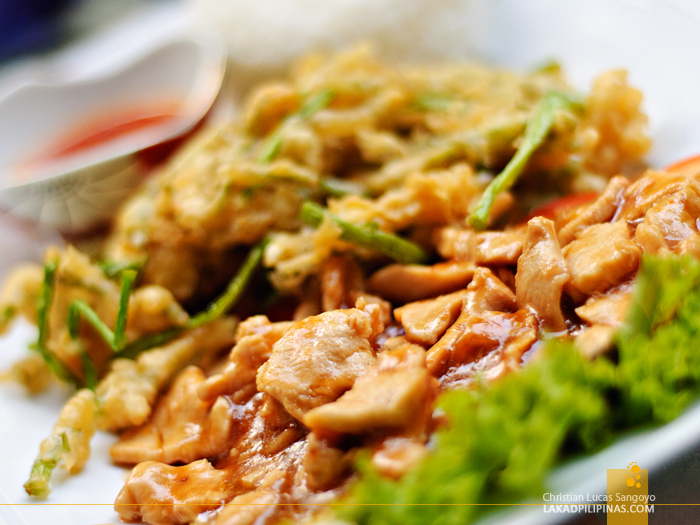 The best one we had was their Chicken with Fried Morning Glory, which I think everyone should try. 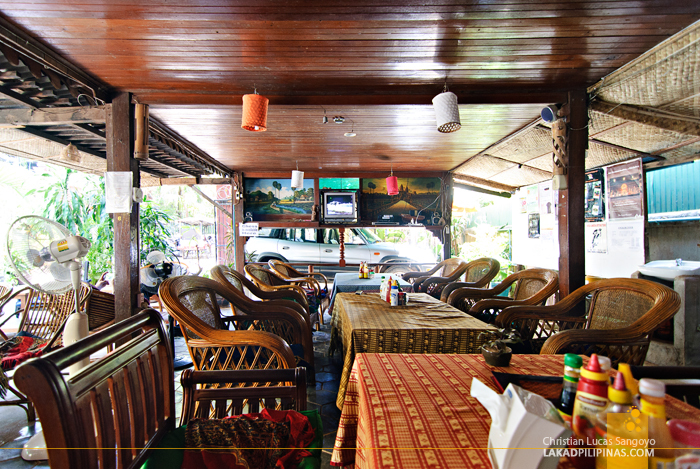 For drinks, we always order our favorite Angkor Beer iced coffee. 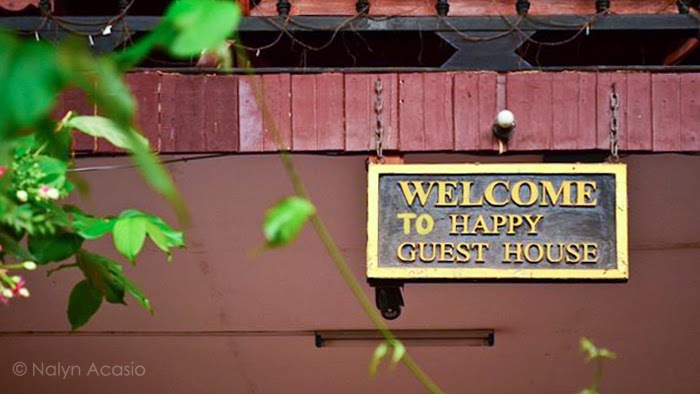 If you’re on a tight budget and would love to stay in a happy place while in Siem Reap, you really don’t have to look that far; Happy Guesthouse is just the happy place for you. Highly recommended.